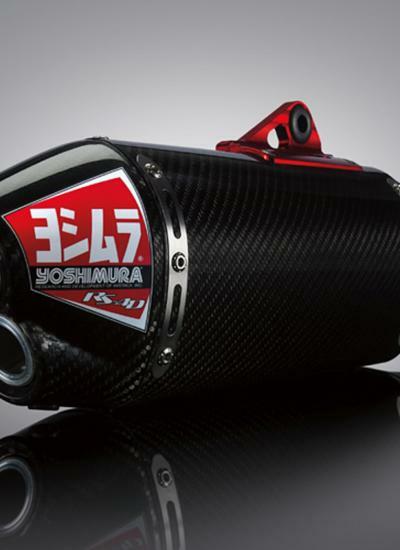 The RS-4 muffler was developed in conjunction with the Suzuki Yoshimura race team with one purpose in mind: winning championships. 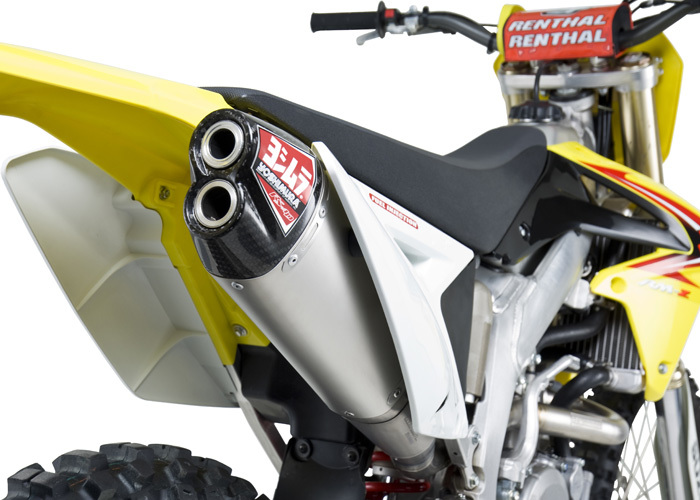 That goal was accomplished during the 2010 AMA Supercross and Motocross season, as Ryan Dungey and his Yoshimura powered RM-Z450 took the motocross world by storm as the first rookie in the history of the sport to dominate both series. The new RS-4D builds on the technology that has made the RS-4 a force to be reckoned with on the racetrack, enhancing it's rock solid performance. 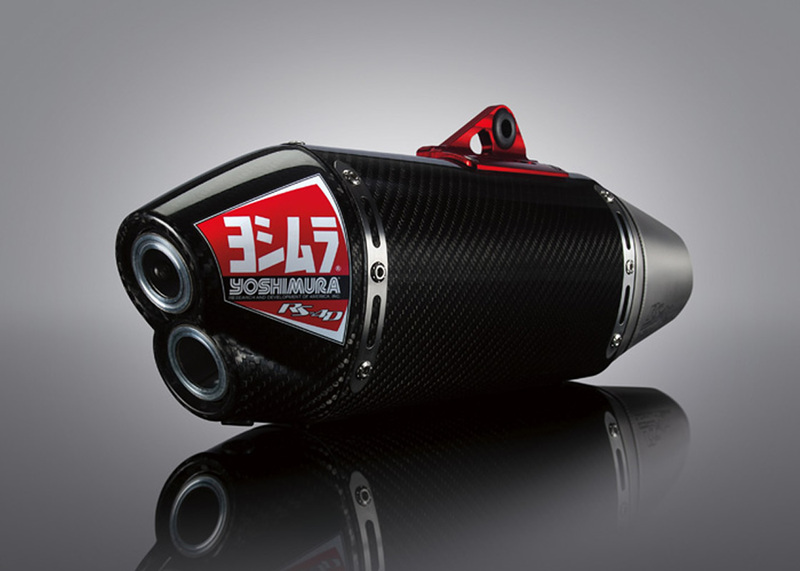 By increasing the amount of open area at the exhaust outlet, the RS-4D increases airflow, resulting in smoother power delivery and increased throttle control. 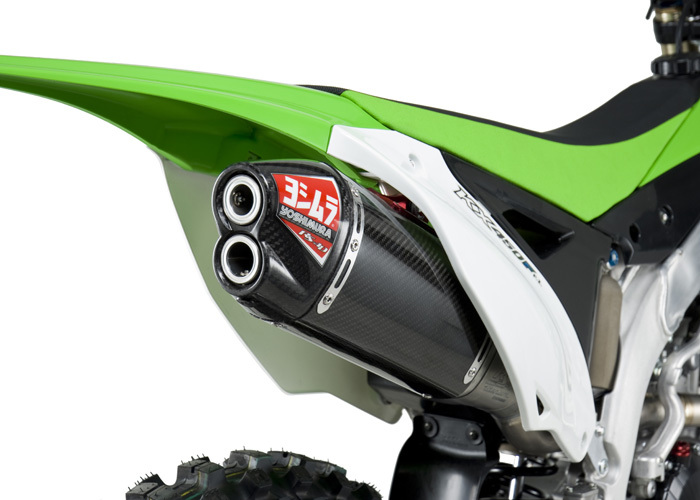 Testing has shown that it offers increased horsepower and torque throughout the power curve, especially in the bottom to mid RPM range. 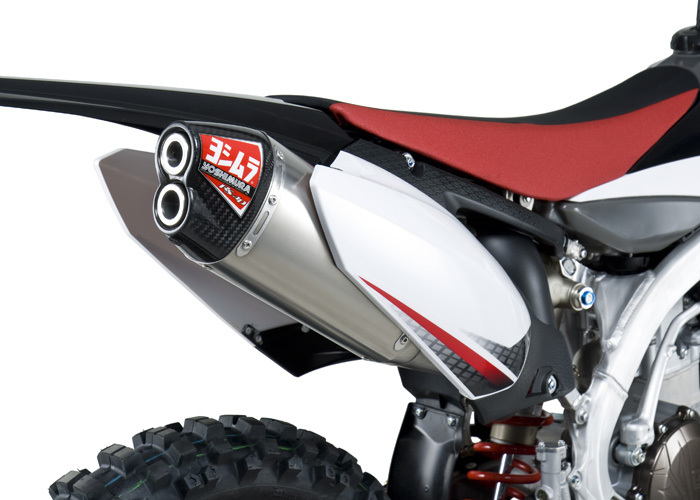 Titanium Systems come with an AMA Pro Racing sound insert installed in the muffler. 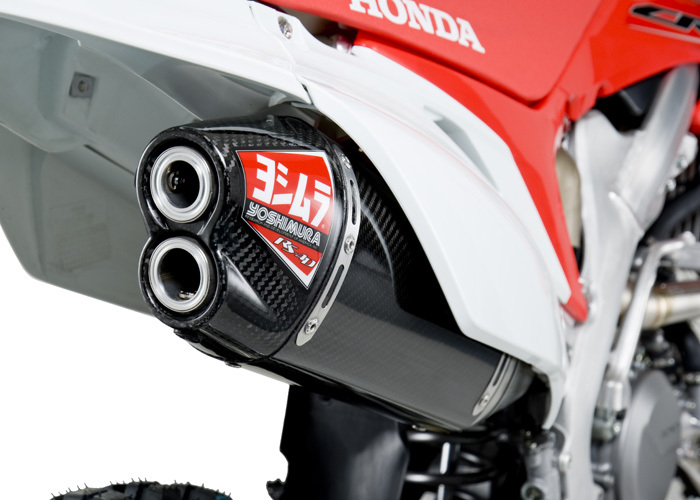 Available for: Honda, Kawasaki, Suzuki, Yamaha.